Carl Deuker's Official Website - On the Devil's Court--I've included some photos from the setting of the book. There are also book trailers made by students. Thank you! *"A clever blend of family conflict, superstition, and exciting sports action." --School Library Journal (starred review). On the Devil's Court--I've included some photos from the setting of the book. There are also book trailers made by students. Thank you! The greatest end to an NCAA game. Jimmy Valvano and the upset of Houston. 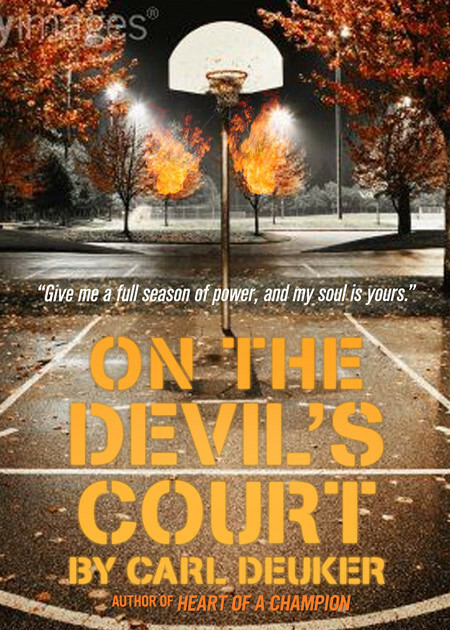 To buy On the Devil's Court, please click on the cover. Ballard Locks--Joe visits the locks when he's down in the dumps. Fishermen's Terminal. This is where Joe sees the near serious accident in ON THE DEVIL'S COURT. The old community center where Joe Faust practices alone. I'm not sure this is the building, but perhaps it is. When I saw it, the rafters were so low you couldn't have any loft on a long shot. To buy On the Devil's Court, please click here. My heart was racing. I heard a clap of thunder and raindrops pounded on the metal roof. The gym grew darker and a strange mist seemed to fill it. An eerie thought came to me: the mist somehow held the devil. I didn't want to fall under its spell so I dribbled once and took a jump shot. It was so perfect that the spin on the ball carried it right back into my hands. I shot again and back the ball came. A third . . . then a fourth . . . I knew it couldn't be just me shooting . . . With each shot the mist thickened . . . A seventh, and eighth . . . It was an incredible feeling, to be able to do it all so effortlessly. I think that's why I made the vow. In a new town for his last year of high school, seventeen-year-old Joe Faust is determined not to spend it as his ambitious father would have him--in a private school. Instead, he hopes to make this year his best on the basketball court, playing on the city's strongest public school team. But, as it happens, Joe's senior year turns out be entirely different from what he had expected. He attends a school he despises and watches his skill on the basketball court deteriorate until he can't even make a decent pass or easy lay-in. In desperation--he entangles himself in a situation so fantastic he can't tell if it's real or imagined--a dilemma set in motion one stormy afternoon in an abandoned gym when a series of miracle shots prompts Joe to strike a bold, brash, and utterly terrifying bargain.